Low Power Wide Area Networks (LPWAN) represent the fastest growing Internet of Things (IoT) communication technology and are a key driver for global IoT connections. With various LPWAN solutions and vendors available today, choosing the right technology for your IoT projects is no easy task. 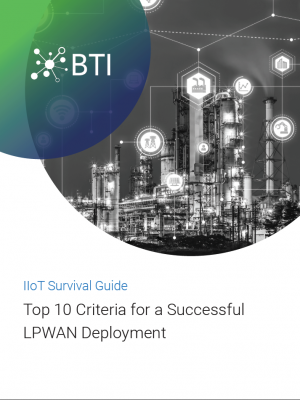 To help you select the right solution for your specific use case and application, here are 10 criteria you should consider for a successful LPWAN deployment.